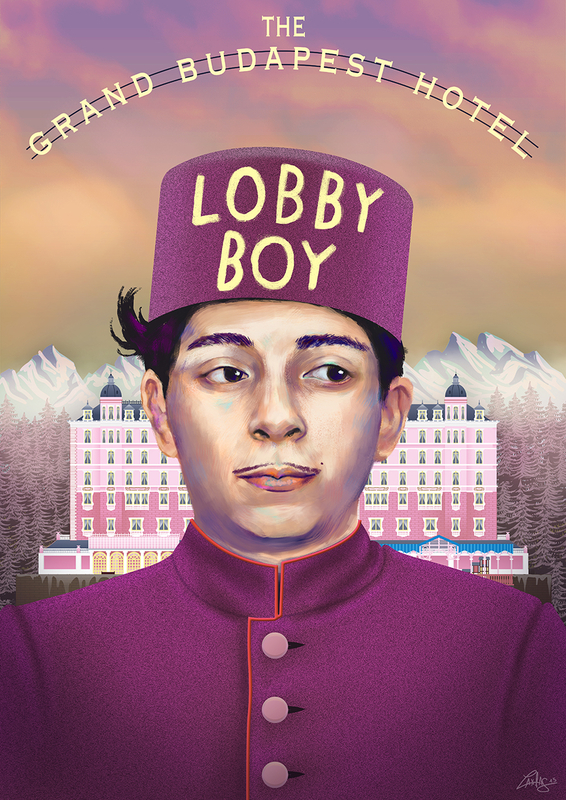 This alternative poster version is my tribute to the great movie : The Grand Budapest Hotel by “Wes Anderson”. The particular mood of the movie is very inspiring and i wanted to try to translate the universe through this painting. 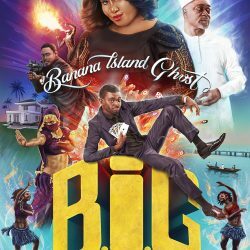 If you didn’t saw it yet , i recommend to watch it, it’s visually very attractive ! 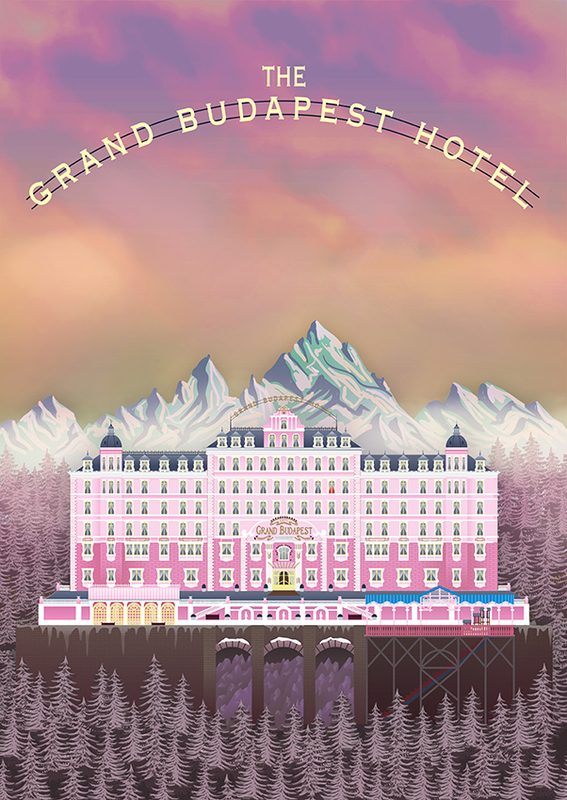 This poster was made in 2 steps: 1 – I’ve created the background with the landscape and the hotel using illustrator, this is all vectors done in illustrator , then i imported the background ( that can work on its own as a poster too) and i’ve painted the character of Zero played by “Tony Revolori” as for me it represent well the identity of the movie.